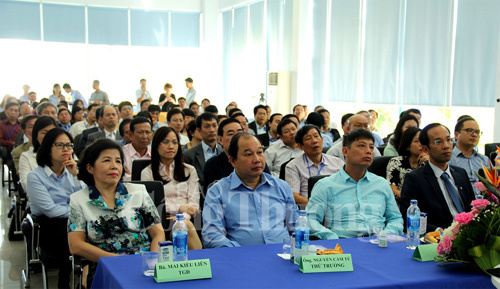 The Ministry of Industry and Trade’s mission led by deputy minister Nguyen Cam Tu together with 73 trade counselors and Vietnamese ambassadors visited the super milk plant of Vietnam Dairy Products Joint Stock Company (Vinamilk) in the southern province of Binh Duong on February 23, on occasion of their business trip to the Southern region. The plant coming into operation in 2014 is one of Vinamilk’s two super plants in Vietnam, said director general Mai Kieu Lien. It was built at a total capital of VND2.4 trillion (US$107.26 million) with the capacity of 400 million liters of milk a year in the first phase, which will double in the second phase this year. 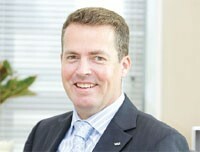 Vinamilk now has 13 plants in Vietnam and holds a large local market share. Besides, it has expanded exports products including condensed, fresh, formula and soy milk, yoghurt, fruit juice and ice cream to 42 nations in the world. Last year the company earned the revenue of about VND40.22 trillion (US$1.80 billion), up 15 percent over 2014; submitted VND3.92 trillion (US$175.53 million) to the state budget, up 12 percent; and marketed nearly 6 billion milk products. Vinamilk hoped that it could catch up with regional and international milk import demand through trade promotion activities under the coming trade counselor conference 2016 by the Ministry of Industry and Trade, Ms. Lien said. Assistances by trade counselors and Vietnamese ambassadors have significantly contributed in taking Vietnamese milk products to the world market with quality not inferior to products of other nations and competitive prices, she added. The company has invested in many sides to take advantage of incentives from free trade agreements, she affirmed./.